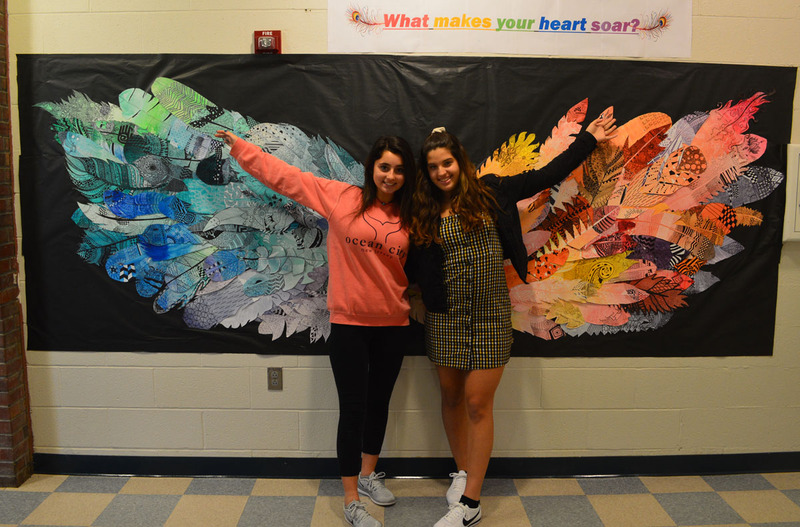 Columbia High School students Jordan Miller, left, and Savannah Rodriguez pose in front of a feather mural they helped create. Inspired by the street artist Kelsey Montague, students in Art teacher Patti LeRoy’s classes created individual feathers as a piece of collaborative interactive art in the Columbia High School lobby. Each feather’s design represents that particular student, and together, creates a beautiful set of wings.